Where do you go to break into this notoriously difficult industry? Creative Access fills a gap in the current creative landscape by helping young people from black, Asian and other non-white minority ethnic (BAME) backgrounds, to secure paid training opportunities in creative companies, and supporting them into full-time employment. There are intern opportunities, traineeships, vacancies and many more. Rare Recruitment connects exceptional people from diverse backgrounds with great jobs in top organisations. They partner with organisations to help candidates break into industries in which they’re underrepresented. They also have development programmes for companies, recruitment campaigns, insight events, and offer consultancy. ERIC Festival is a revolutionary new type of careers fair, designed for young people, by young people. ERIC educates & inspires young people on the realities of the different creative industries, the breadth of jobs within them and provide relevant advice on how to get your foot in the door. ACE champion, develop and invest in artistic and cultural experiences that enrich people's lives. 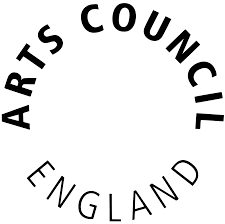 They support activities across the arts, museums and libraries – from theatre to digital art, reading to dance, music to literature, and crafts to collections. Check out their daily jobs and arts news bulletins for opportunities – there are hundreds every week! There are hundreds of free events every week across the UK, from panel discussions, talks, and exhibitions, to careers fairs, networking evenings and meet-ups. Seek these out for ways of meeting new people, collaborating, or just exposing yourself to more of the creative world.